When you purchase the workshop, you’ll be emailed a PDF that contains all the information you need to access the private workshop page or private video. 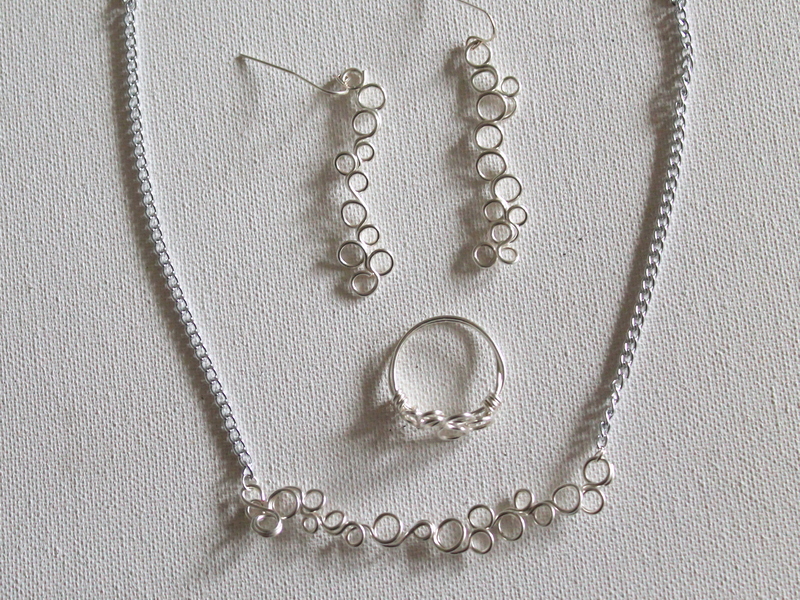 Learn how to make earrings, a necklace and a ring with 3 instructional videos and a PDF with step-by-step photo instructions. The PDF will be emailed to you after you complete your purchase. In the PDF you’ll find a link to access the eWorkshop page that includes the video tutorials. Learn more about the Circle Jewelry eWorkshop here. Get a video plus PDF with step-by-step instructions and helpful tips. The PDF will be emailed to you after you complete your purchase. In the PDF you’ll find a link to access the eWorkshop page that includes the video tutorial. Learn how to make this fun and unique knotted chain technique with my Knotted Link Chain eWorkshop. Learn more about the Knotted Link Chain eWorkshop here. 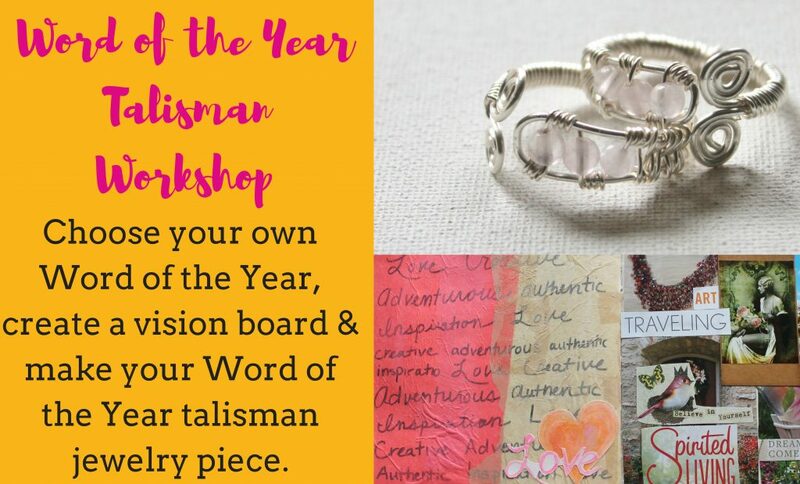 Choose your Word of the Year, create a vision board, and create a beautiful wire wrapped ring as a talisman for your Word of the Year with this unique eWorkshop. Learn more about the Word of the Year Talisman eWorkshop here. Learn 6 wire wrapping techniques to make a beautiful bracelet. 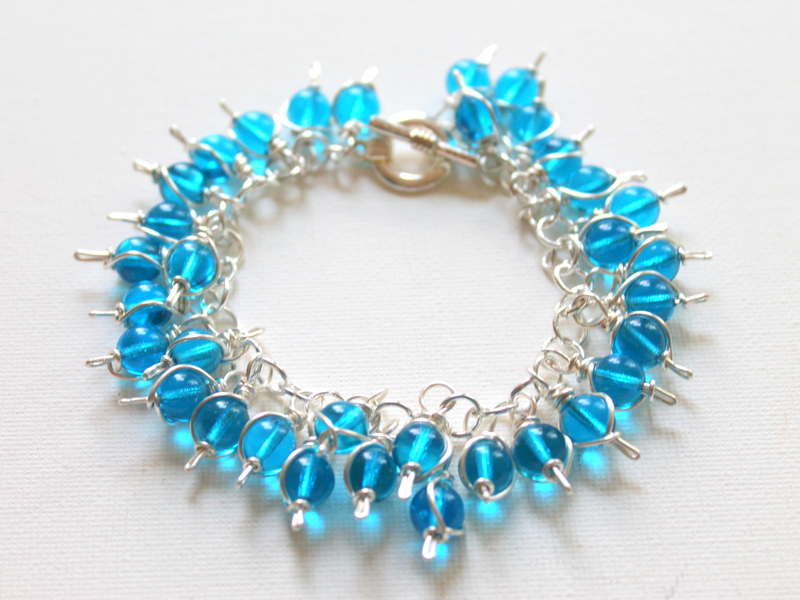 Learn different ways to use wire to add visual interest to your beads. 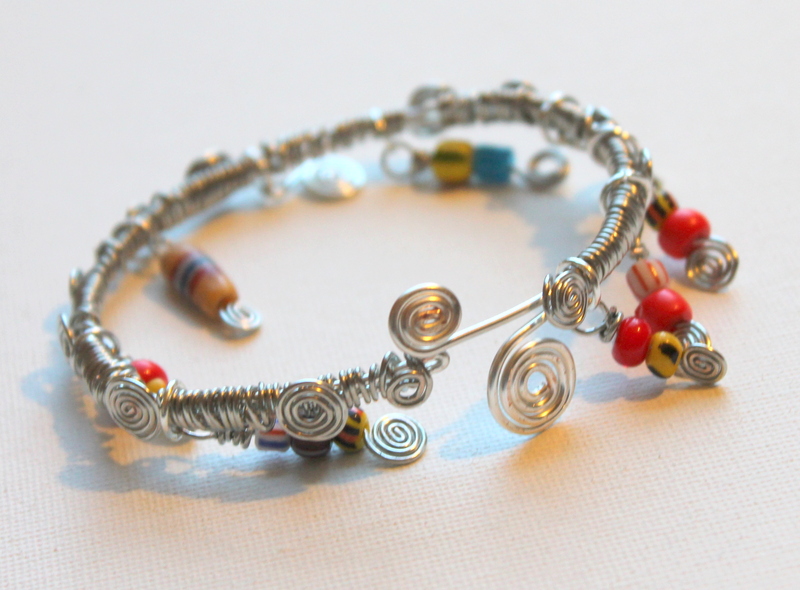 Learn more about the Decorative Wire Wrapped Bracelet eWorkshop here. Learn how to make this fun, unique bracelet with a video and PDF eBook! Learn how to make this unique, fun bracelet with a video tutorial and PDF eBook. Learn more about the Decorative Bead Dangle Bracelet here. 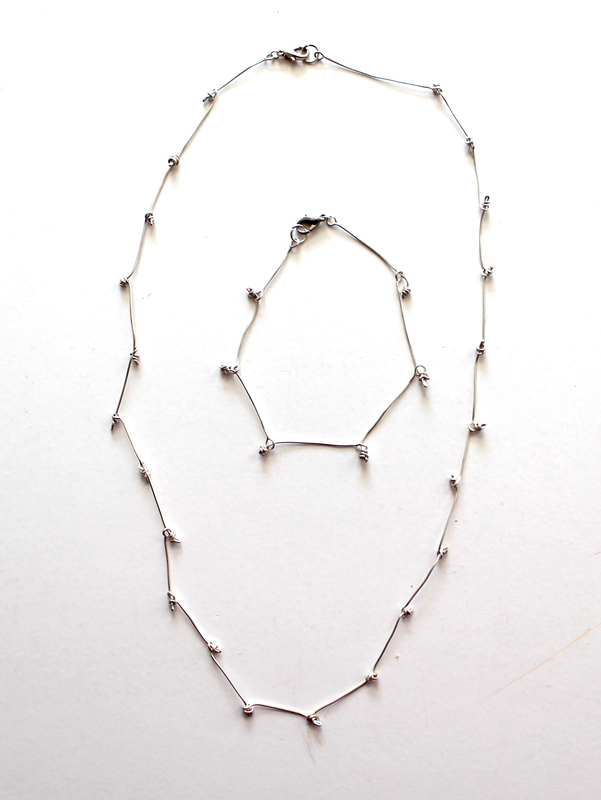 Get the Beaded Bunch Necklace eWorkshop and make this beautiful necklace. You get a PDF eBook and video tutorial with clear, detailed step-by-step instructions and my helpful tips! Learn how to make beautiful, unique necklaces with a tutorial video and PDF eBook. 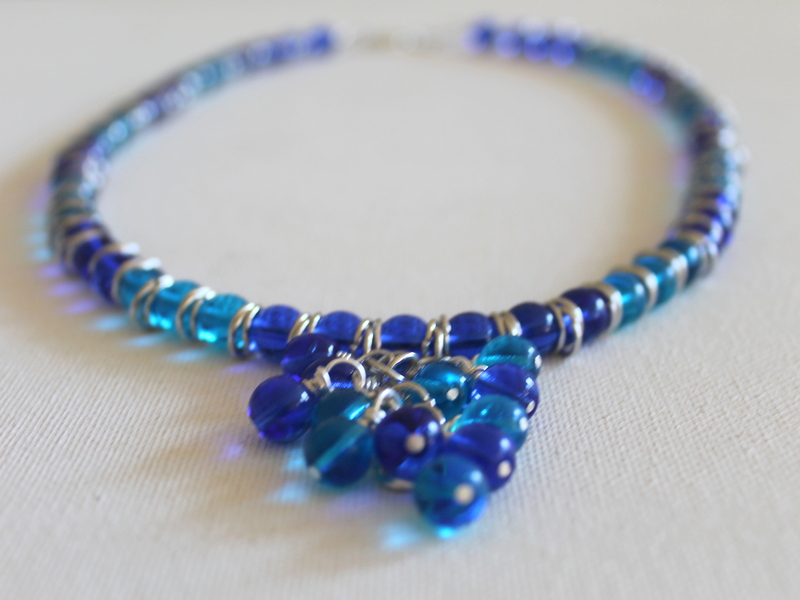 Learn more about the Beaded Bunch Necklace eWorkshop, click here. 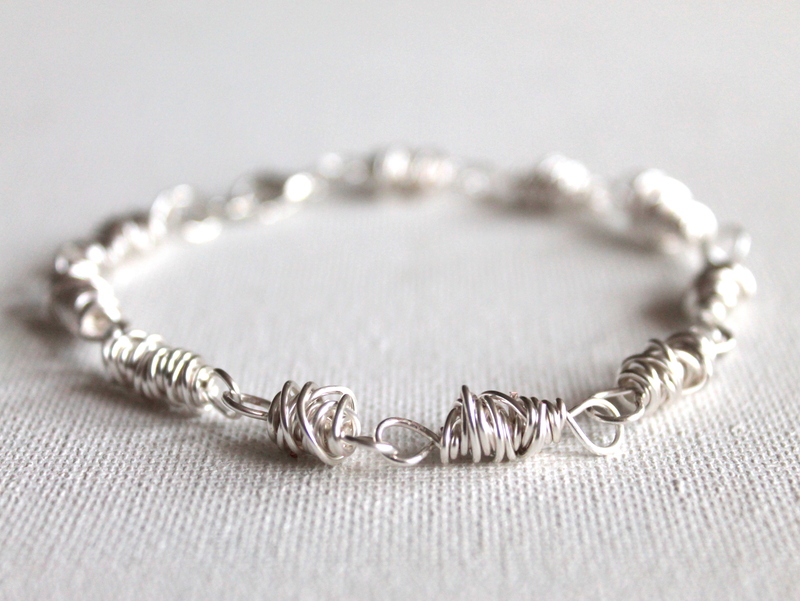 Learn how to make this unique bracelet in my Knotted Link Bracelet eWorkshop. You get a video, PDF eBook and access to a private, password protected page. Go from creatively blocked to creative expression! Learn how to make the Knotted Link Bracelet and then use that technique in your other jewelry designs to make unique pieces. 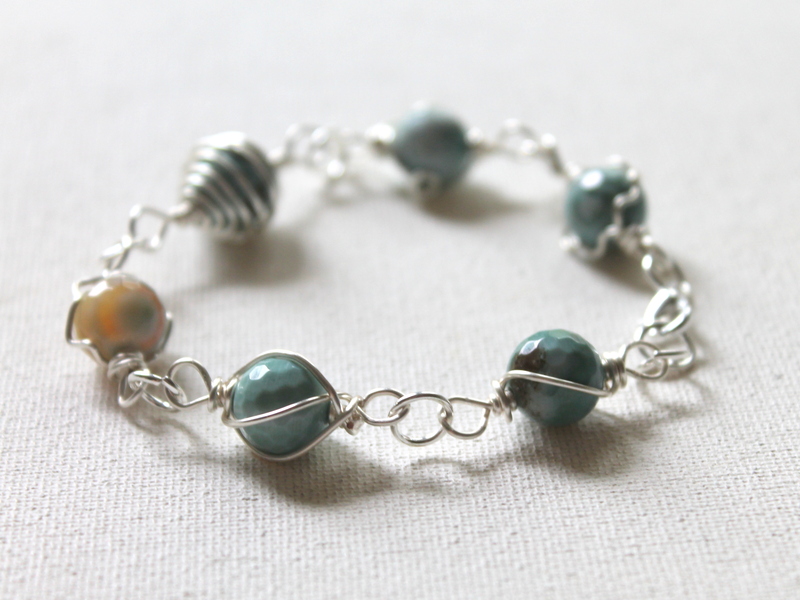 Learn more about the Knotted Link Bracelet eWorkshop, click here. With this eWorkshop, you get 2 videos and a PDF eBook! To get all the details and learn more about the Spiral Bangle Bracelet eWorkshop, click here. 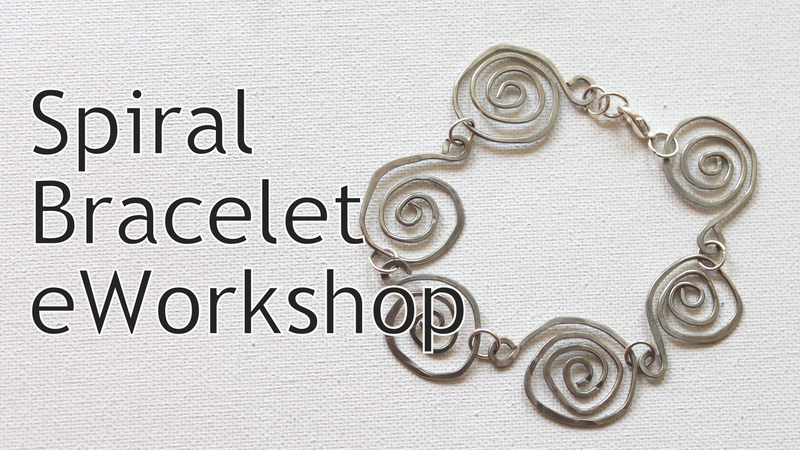 To get all the details and learn more about the Spiral Bracelet eWorkshop, click here. Learn how to make this unique pendant in this virtual workshop. Learn via video and PDF eBook tutorial. 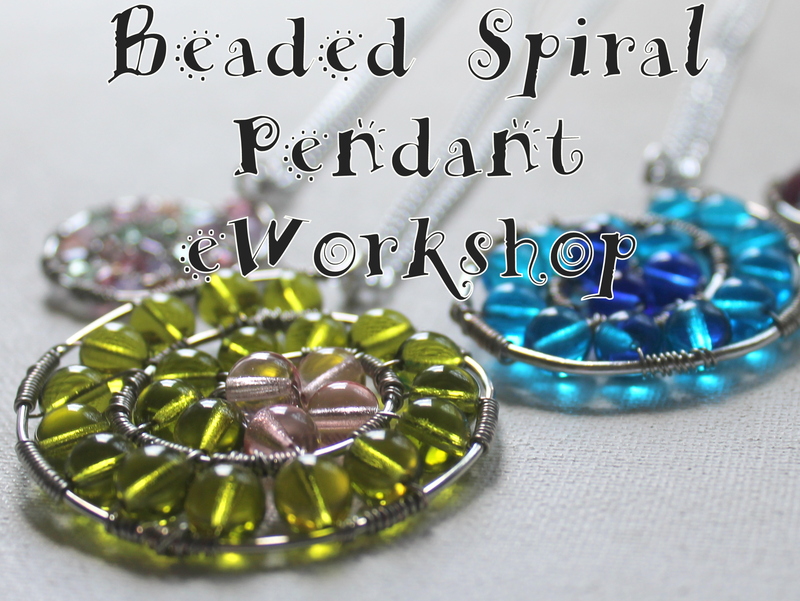 To get all the details and learn more about the Beaded Spiral Pendant eWorkshop, click here. 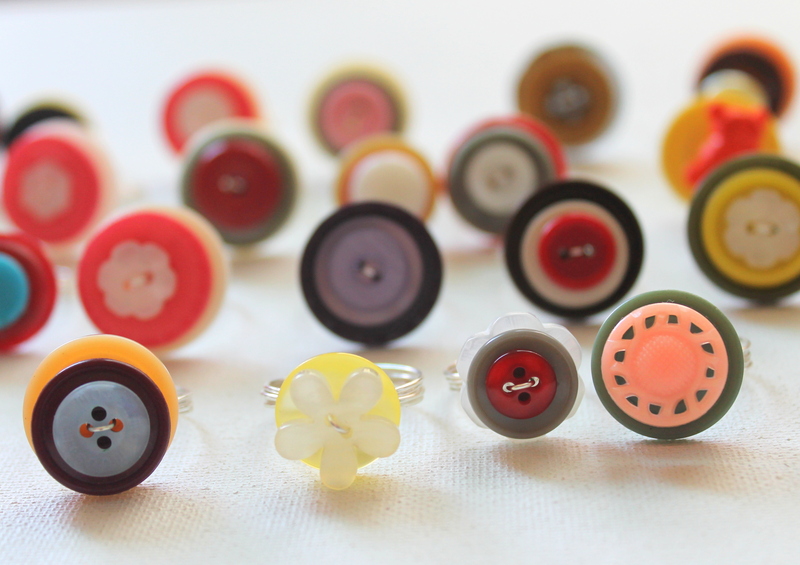 How to make wire wrapped button rings. eBook and video workshop included. To learn more about the Wire Wrapped Button Ring eWorkshop, click here. 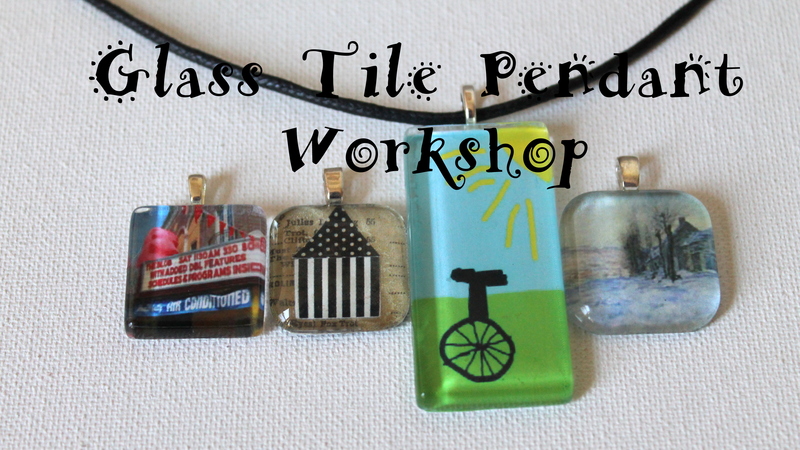 How to Make Glass Tile Pendants, eBook and video included. To learn more about the Glass Tile eWorkshop, click here.